Days after the Supreme Court refused to place fetters on legislators practising law, lawyer and BJP leader Ashwini Kumar Upadhyay has now filed a review petition against this judgment. The petition, filed through Advocate RD Upadhyay, now alleges that the matter was earlier reserved without a “full-fledged hearing”, despite the fact that it involves “intricate Questions of Law, interpretation of Articles 14, 15, 19 and Schedule 3 of the Constitution, Principle of Affirmative Equality, Constitutional Morality, Institutional Integrity, Separation of Judiciary Executive and Legislator, Intention of Framers and wide-ranging other facts”. The review petition goes on to reiterate the contentions made by Mr. Upadhyay in his petition before the court, relying on several judgments, including those in Satish Kumar Sharma Vs. Bar Council of H.P. ( holding that law officer engaged by a company for not acting and pleading in court cannot be enrolled as an advocate) and Dr. Haniraj L. Chulan vs. Bar Council of Maharashtra and Goa (holding that a full time medical professional cannot be enrolled as an advocate). The petition further contends that since public servants are not permitted to practice any other profession, litigators being public servants should not be allowed to practice law. It states that restricting district collectors, magistrate and judges from practicing, while allowing litigators to do so is violative of Article 14 of the Constitution of India. 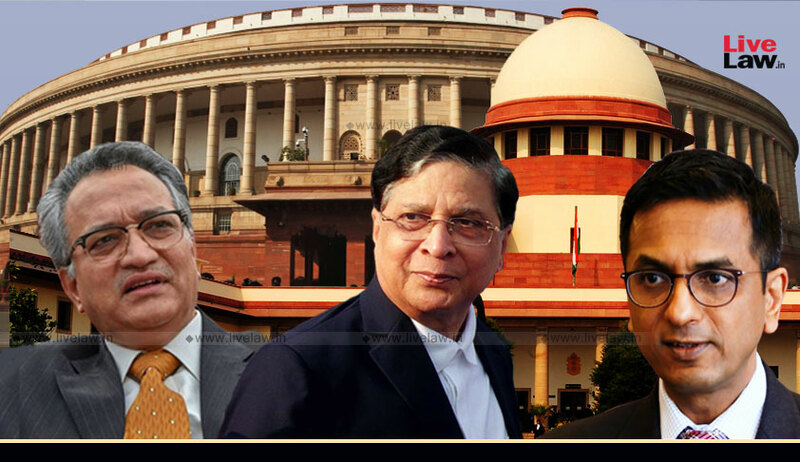 The review petition now essentially asserts that the court needs to delve into the purposive interpretation of several Bar Council of India rules, as well as determine the actual status of legislators if they have not been considered to be full-time employees. “Keeping in view the above sated facts, purposive interpretation PART-VI (Rules Governing Advocates) of the BCI Rules, particularly Rules 47-52 (Restriction on other employments), Section 21 IPC, Section 2(c) PCA, and the Judgment in Dr. Haniraj Chulani v. Bar Council of Maharashtra [(1996) 3 SCC 342], Satish Kumar Sharma v. Bar Council of Himachal Pradesh [(2001) 2 SCC 365], Madhav Bhokarikar v. Ganesh Bhokarikar [(2004) 3 SCC 607], it is respectfully prayed that this Hon’ble Court may be pleased to review the impugned Judgment,” it finally prays, demanding that the judgment be reviewed in Open Court, rather than by circulation.